2018 was a little disappointing for Xbox fans, so we’re hoping that 2019 proves to be a lot better. Over the next couple of weeks, we’re going to be highlighting a different game each day, giving you all the relevant details and salient talking points for big games of the year. With so many upcoming titles we’ve decided to do this in order of release date. Today we shall be examining the sequel that we’ve been waiting on for nearly 14 years, Psychonauts 2. Psychonauts 2 is the sequel to the 2005 cult-classic. Developed once again by Tim Schafer’s team: Double Fine Productions. The story follows on from the previous game as Razputin is finally welcomed to join the Psychonauts at the Motherlobe. Once there he becomes aware that everything is not as it seems, as suspicious activity runs rampant. It’s up to Razputin to stop these malicious behaviours and confront the truth about the curse placed on his family. Tim Schafer’s team at Double Fine Productions have had great success appeasing critics. Their lowest rated game on Metacritic received a 49 (Spacebase DFR-9). The next lowest rests at 71 (Psychonauts in the Rhombus of Ruin, Dropchord and Middle Manager of Justice). This tells us that Double Fine Productions have a remarkable level of consistency and use their talents to create the best games possible. The original Psychonauts was also one of their highest rated games scoring a very impressive 88. This fills us with anticipation as to how they’ll follow up the original. 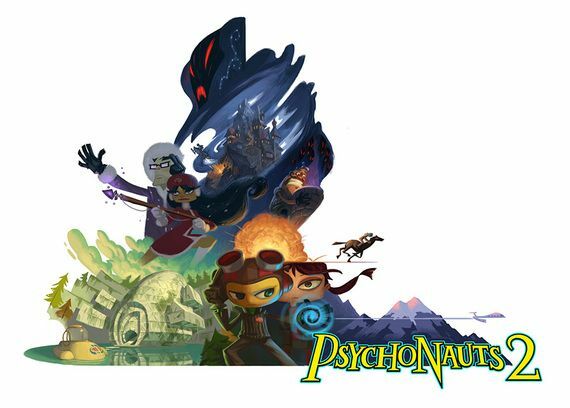 Double Fine Studios has also delayed Psychonauts 2 moving the original release date from 2018 to later this year. This allows the developers to work on the finer details of the game and make it as perfect as possible. The pressure of creating a sequel many years after the original’s release can be very hard. Expectations are constantly being built upon and fans crave to have their desires fulfilled. The developers can forget what made the original so popular amongst its fans. Despite the vast number of positive reviews Double Fine Productions’ games have received, they’ve struggled to hold the same amount of positivity from their audiences. People have made aware their criticisms of Double Fine Productions and Tim Schafer. If the developers are unaware of these issues and worries held by their fans, they can repeat the mistakes they’ve made before . David Clist is a confused person lacking social skills and good taste. He likes “good” games and movies.